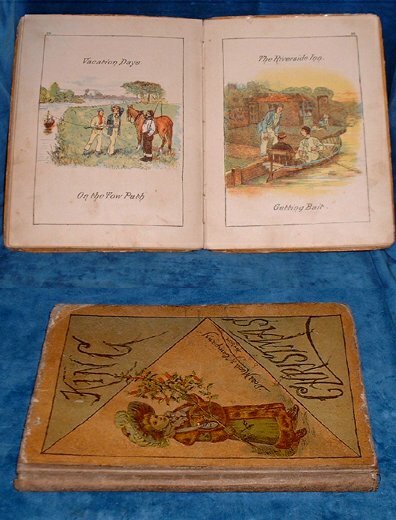 Description: New York, Dodd Mead & Co. 1890 Color illustrations to each page by Miss Cassella after Caldecott and Kate Greenaway. . Octavo cloth spined pictorial boards (edges worn/corners rounded but spine strong & picture area undamaged) pp. Margins foxed/stained, pencil inscription dated Dec.25th 1890.